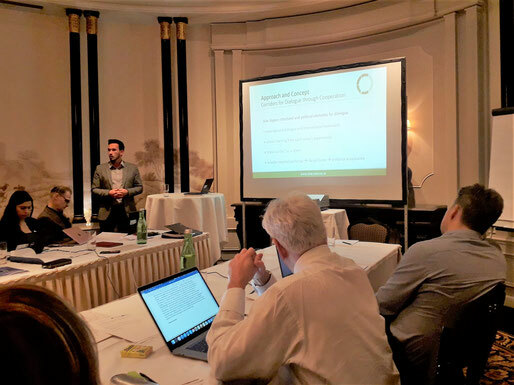 In Vienna we presented the concept, experience and practical outcomes of our cross-regional Corridors for Dialogue through Cooperation in the framework of the OSCE Networkwork of Think Tanks and Academic Institutions. Corridors organised the two-day workshop together with Tampere Peace Research Institute and the Leibniz-Institute for East and Southeast European studies as part of the project "Cross-Regional Corridors of Dialogue: Developing a Complementing Track for Transforming Long-Standing Conflicts". 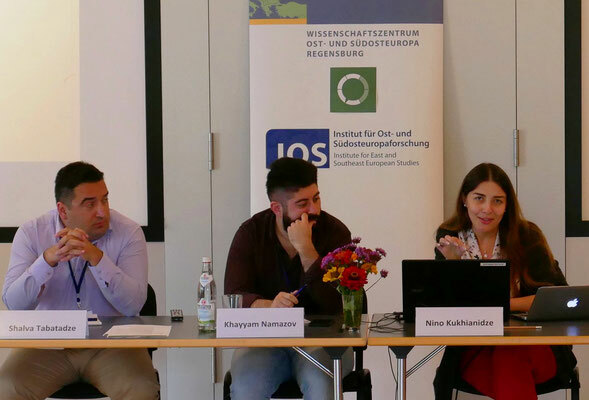 During the workshop, various officials from OSCE, international civil society stakeholders from CMI and GCSP and experts from academia discussed the recent experience and future opportunities of dialogue facilitation in Eastern Europe and the South Caucasus. Our experience shows that problem-finding dialogue and interest-driven cooperation in a cross-regional framework can bypass structural and political obstacles for dialogue in protracted conflicts. Dialogue through cooperation can build new working and trusting relations, strengthen the foundation of peaceful development, and encourage new positive dynamics. 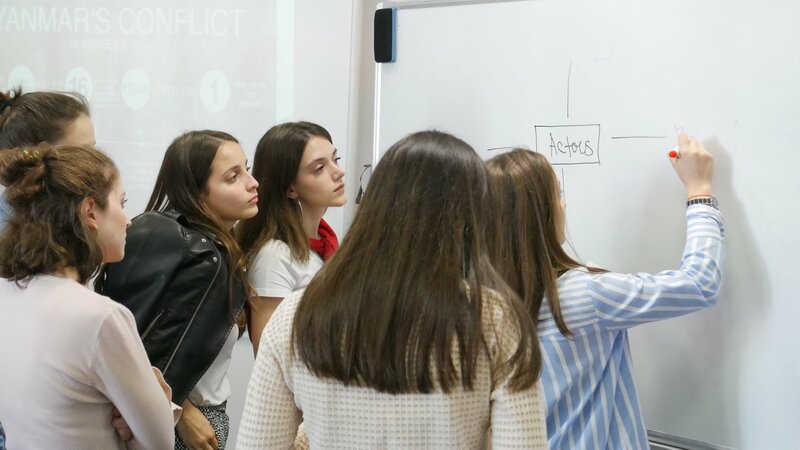 In October 2018 we had the opportunity to hold a workshop on the fundamentals of peace and conflict studies to students in Abkhazia. 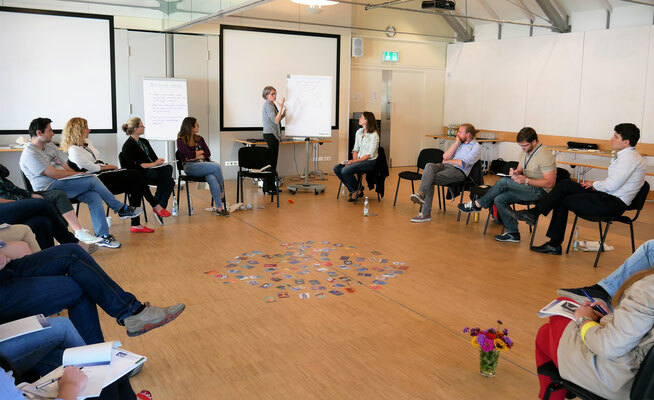 During the intensive three-day workshop, the 13 very active students got introduced to critical theories, methods and tools of conflict analysis in an interactive working environment. 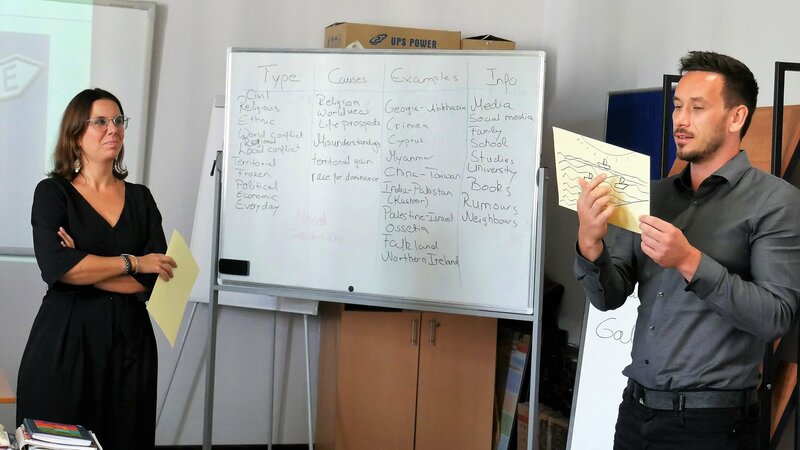 The students exercised the knowledge and skills they gained, within case studies from different world regions and applied it to their conflict setting. The workshop was facilitated by a group of experienced international and local scholars and practitioners. 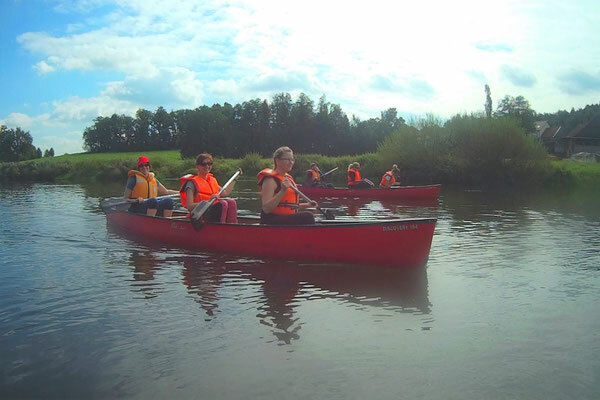 We thank our local partner from Respublika Idea and the university in Sukhum/i for their great support, our teaching team for their commitment, and our participants for their openness and active participation. 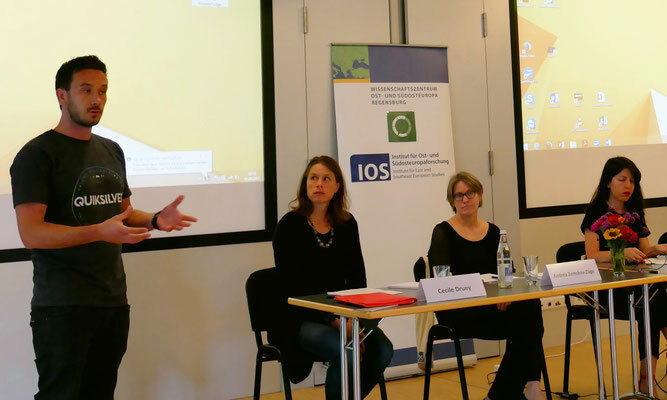 The Corridors Workshop on ‘Developing Joint Learning Opportunities Across Protracted Conflicts’ took place in Weingarten (Germany). 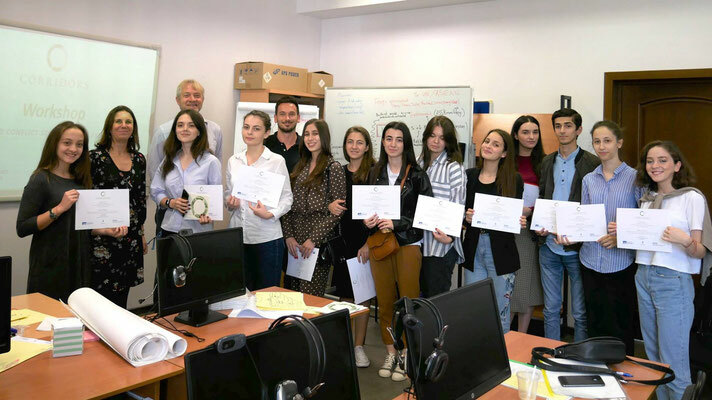 Together, our 16 participants from Chisinau, Tiraspol, Odessa, Kiev, Nalchik, Suchum/i and Tbilisi explored ways to initiate cross-regional dialogue and cooperation across the conflict divide. The main aim of the four-day workshop was to develop new virtual and physical spaces for joint learning in the field of youth education. 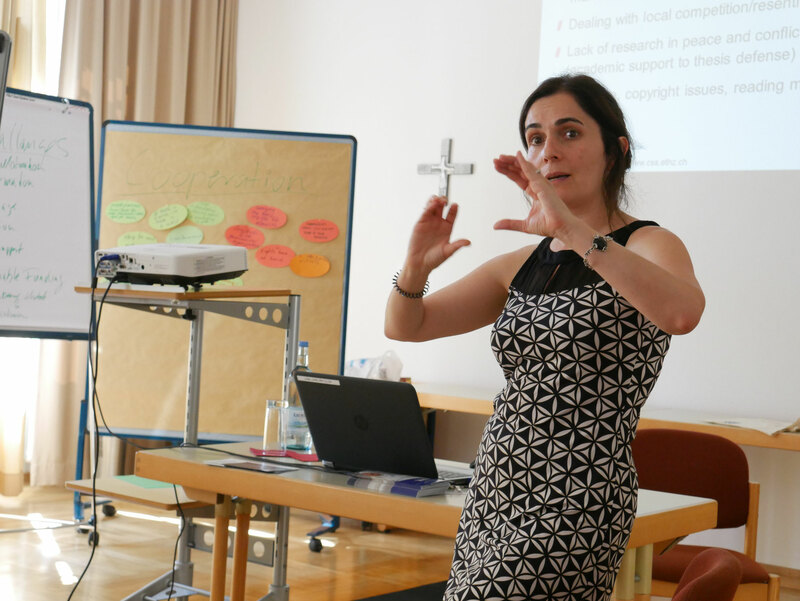 The group of academics and civil society stakeholder developed a project idea that will combine joint distance learning, capacity building, and direct people-to-people exchange in the field of peace and conflict studies. Together with the group, we will strive to implement the project in 2019. In this way, the project will be a practical result of cross-regional dialogue and a rare example of interest based cooperation over the divide. Many thanks to Kiron Open Higher Education and the ETH Zürich for sharing their inspiring best-practice examples and to the Akademie of the Diözese Rottenburg-Stuttgart for excellent cooperation. 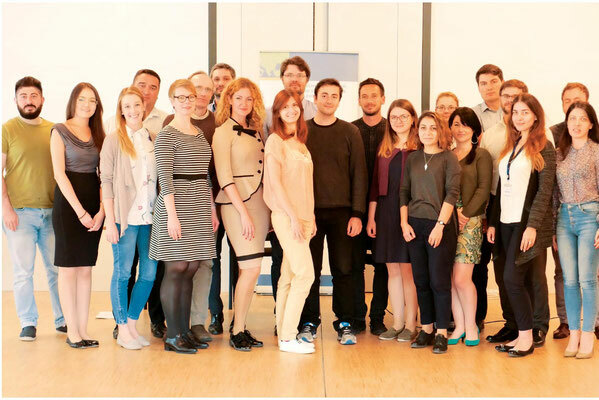 Corridors Workshop 2017 - "Dialogue through Cooperation"
In early September, we organised the first Corridors Young Researchers Workshop on the obstacles and opportunities for dialogue and cooperation in protracted conflicts. 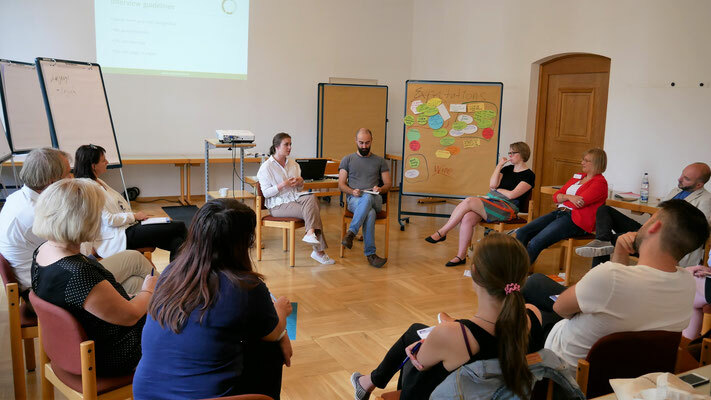 The project brought together 20 young scholars and civil society experts from Central and Eastern Europe and the South Caucasus for an intensive one-week workshop in Regensburg (Germany). 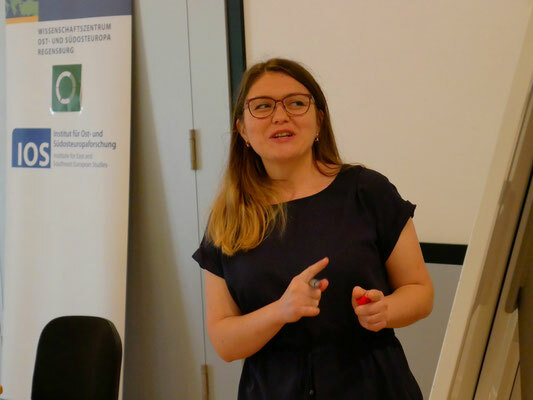 The primary goal of the workshop was to promote dialogue and scientific cooperation beyond conflict boundaries and to facilitate knowledge transfer and mutual understanding across the conflict divide. 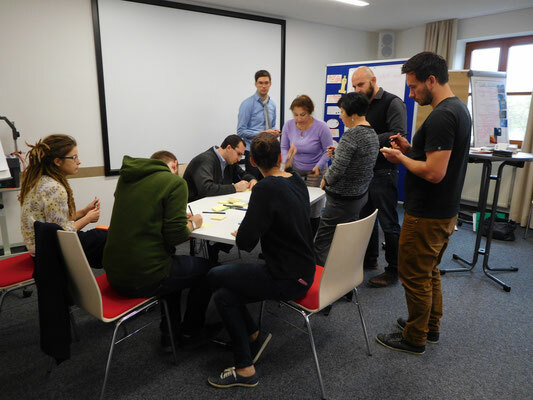 With participants from Armenia, Azerbaijan, Estonia, Germany, Georgia, Moldova, Ukraine and the regions of Abkhazia and Transnistria, the workshop formed a cross-regional corridor for dialogue through cooperation. Within the second part of the workshop, the participants presented and discussed their research projects from different professional and regional perspectives. 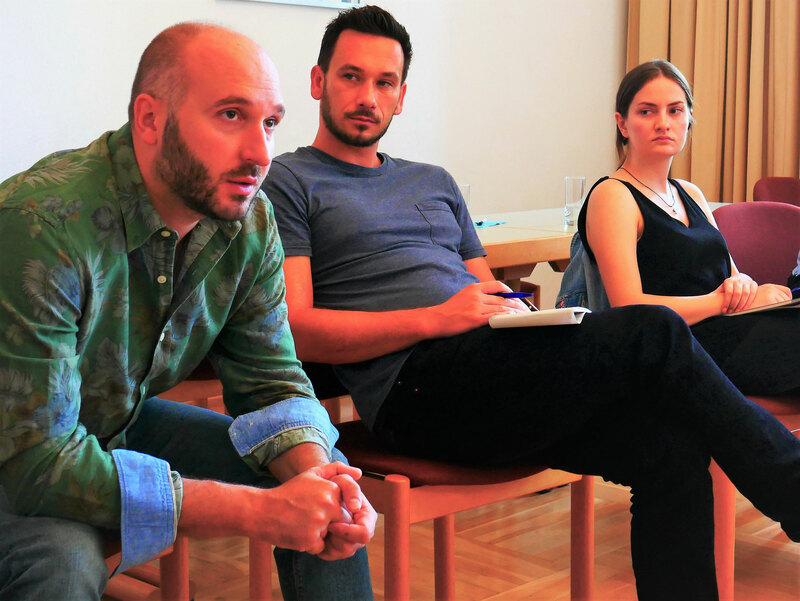 The participants received feedback from their peers and experienced scientists, such as Stefan Wolff (University of Birmingham), Shalva Tabatadze (Tbilisi State University) and the members of the IOS research group “Frozen and Unfrozen Conflicts”. One thematic set of panels addressed the challenges of human rights protection, political participation and education in protracted conflicts. A second thematic focus was the interplay of domestic and international conflict dynamics, the influence of international actors and challenges and opportunities for conflict settlement and international engagement. The participants also used the “corridors” of the workshop to discuss a variety of topics, explore further possibilities for cooperation and establish a network of like-minded young scholars and activists. 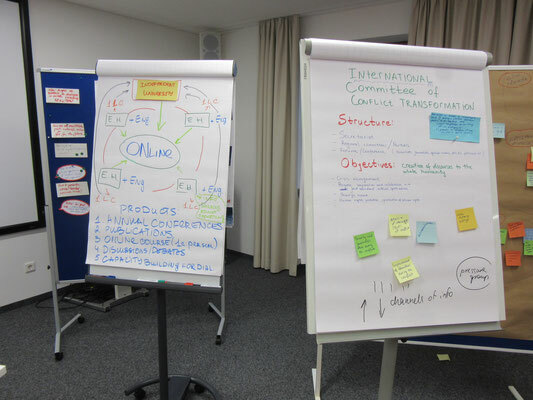 Corridors Workshops 2016 - Pilot Project "Dialogue beyond Conflict Lines"
The project “Dialogue beyond Conflict Lines – Building a Durable Network for Regional Exchange and Cooperation” was organized as part of the program “Advancing the Cooperation with Civil Society in the Countries of Eastern Partnership and Russia” funded by the German Foreign Ministry and the DAAD in 2016. 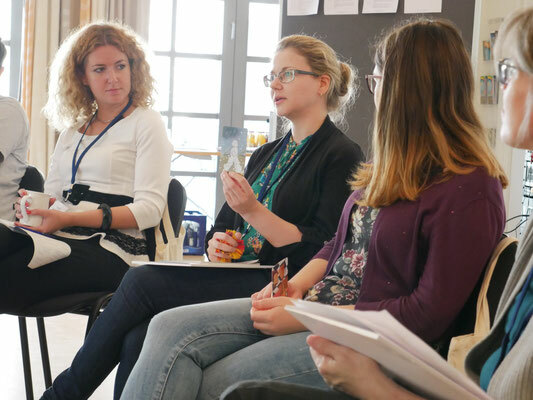 Two preparatory workshops with domestic and international experts in the field of dialogue were organized in Tbilisi and Kiev. 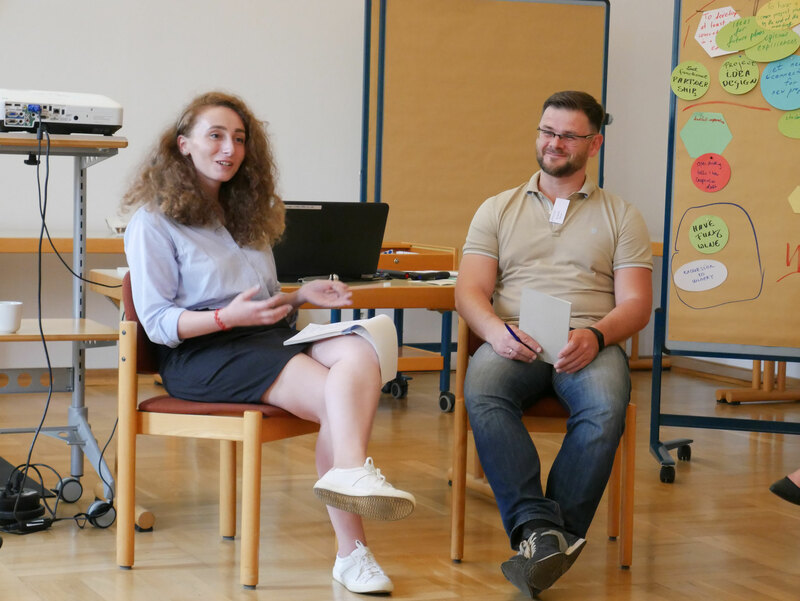 Their main purpose was to establish a cooperation network in the region and to identify opportunities and challenges for further exchange between the conflict regions and Germany. 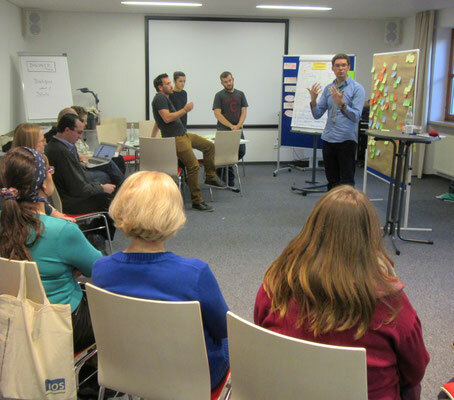 Based on this, a five-day workshop in Regenstauf was organized in November to intensify these efforts. 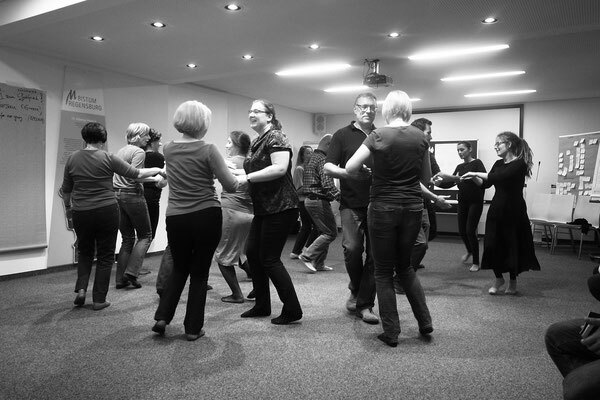 It brought together 14 actors both from civil society as well from academia from the Georgian-Abkhazian conflict, Russia and Ukraine. The objective was to create a new Corridor for direct people-to-people contact, enhance mutual understanding, discuss obstacles for dialogue and develop new ideas for further cooperation in a cross-regional format. 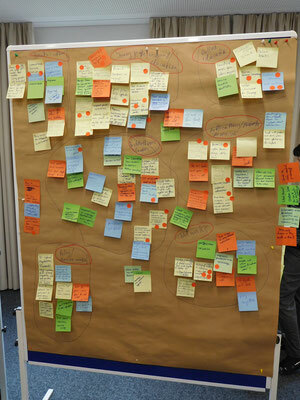 To achieve these goals and stimulate the search for innovative solutions, the workshop used a new methodology: Design Thinking. 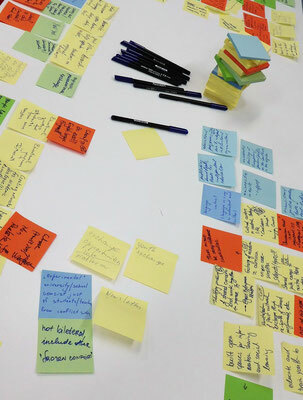 The method is based on work processes used by designers, proven to be flexible and open to new type of results. Design Thinking is thus understood as a human centered approach to innovation using emotional as well as cognitive aspects of human creativity. During the workshop, people from different conflict-affected regions were able to exchange ideas and work on cooperation measures. They were gaining insights into the developments of other conflict regions and got inspirations for their own fields of action. 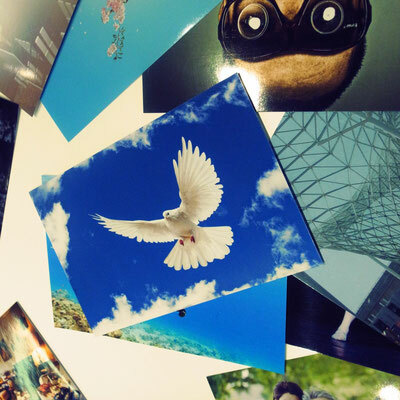 Together, the participants developed concrete project ideas to enhance dialogue and cooperation over the divide. 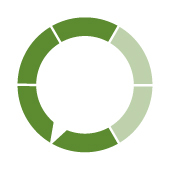 The project has shown how regional formats for dialogue can be a promising approach to revitalize cooperation. Education and knowledge transfer was identified as important areas for further cooperation beyond conflict lines. 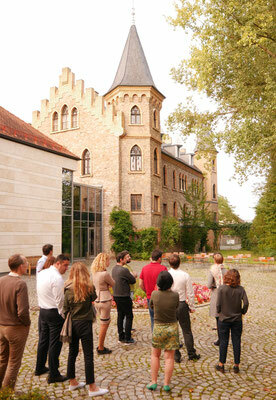 Together, participants developed the idea of a cross-regional network for academic cooperation and knowledge transfer. The aim is to create new opportunities for joint distance learning, summer schools, and scholarship programs for students and academics from regions affected by protracted conflicts. Together with our domestic partners, Corridors will take this idea forward in 2017.